Syntax, Sentence Knowledge and the School-Age Student. Syntax: Syntactical rules are a specific system that shape the structure of sentences. Syntactical rules indicate the word order and organisation of sentences. 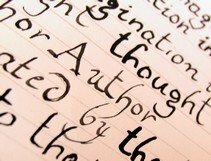 The rules of sentence structure determine which word combinations are allowed, and which word combinations are not allowed. Sentences are organised dependent on their specific function. Each sentence must have the basic building blocks of syntax: a noun phrase and a verb phrase. Verb phrase: a verb phrase is a phrase that is headed by a verb. A verb phase is often accompanied by auxilary verbs. For example, 'I kicked the football' is a noun phrase without an auxiliary verb, whereas, 'I am kicking the football,' is a verb phrase with an auxiliary verb. Even very short sentences have both a noun phrase and a verb phrase. As long as a sentence contains both it will satisfy syntactical rules. For instance, the sentence 'Sue laughed' has both a noun and verb phrase, so is a grammatically correct sentence. The league of gentlemen...er sentence, is not a true sentence. If you read the sentence closely you will notice that it has no verb phrase. In any noun phrase, different word classes may be added until it even takes on the form of the outrageous example above, but so long as it is accompanied by a verb phrase it will always be a true sentence. However if a piece of writing, like the example above, doesn't have a verb phrase it is not a sentence. There are four main sentence types. Sentences can often be categorized by the number of clauses they contain. Simple Sentence: Contains a single main clause. Compound Sentence: Contains two main clauses, which are linked by a coordinating conjunction. Complex Sentence: Contains a main clause, and also one or more subordinating clauses. Compound-Complex Sentence The most complex of all sentences. Contains two or more main clauses and one or more subordinate clauses.